Revelation now has a Membership Scheme! 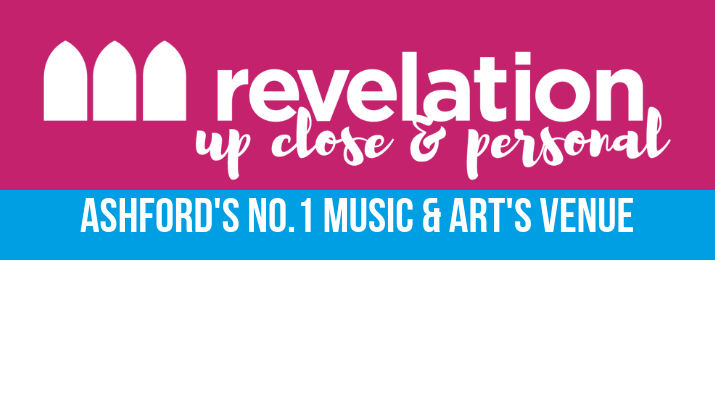 Welcome to Revelation Angels the network for anyone who wants to support culture in Ashford, has enjoyed events or performed at Revelation, giving YOU the opportunity to be involved and help shape its future. Find out more and sign up now to become a Revelation Angel! The church is situated at the heart of Ashford town centre. It is easily accessible by bus, train and car. There are several pay and display car parks within easy walking distance of the church. The nearest is in Tufton Street and is only 5 minutes walk away. Parking is free after 6.00 p.m.
All bookings and online payments are secure. We do not retain your card details without your specific authority. Unless otherwise stated, Under 16s must be accompanied by an adult. Please note that seating is unallocated and there may be sight restrictions due to the unique nature of our venue. Following the £1.7 million reordering project for St Mary’s Church, this town centre venue has been transformed into an upgraded, well-appointed, flexible multi-use space that is now available for hire.